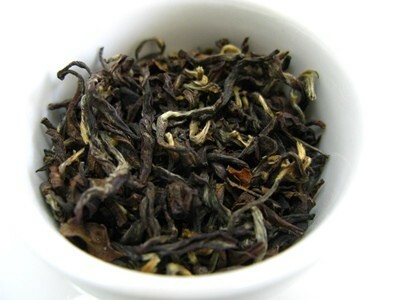 Darjeeling Oolong tea is an exquisite blend of Indian and Chinese expertize to make a rare cup of tea. These Indian tea leaves offer you a completely different experience to that of traditional Chinese oolong tea. Two leaves and a bud grown in the Himalayas and processed in the finest tea estates make up this incredibly rare tea. 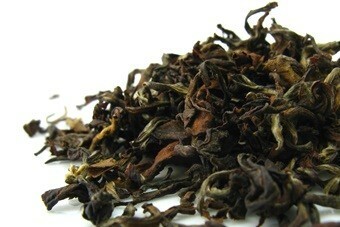 It blends the flavors typical of the Darjeeling black teas and Chinese oolong teas. Naturally sweet and bold in flavor this is an oolong tea that deserves your attention and care. Strong in character and aroma, this is an oolong not like any other. Come and discover this Indian Oolong tea! What is Darjeeling Oolong Tea? Darjeeling is a district in West Bengal, India, where the best and most famous Indian teas are produced. Near the Himalayas, this region provides the perfect conditions for growing and producing tea. The first tea gardens in Darjeeling were created in the 19th century by the British who were searching for an alternative to purchasing their tea from the Chinese. Darjeeling is best known for its black teas, which are so good that they are called the Champagne of Teas. Lately tea gardens in India have started to produce other types of tea, such as green, white and oolong teas. Discover more about Darjeeling tea, its history and other fascinating facts about tea from this Indian district. Darjeeling oolong tea is the successful combination of the woody muscatel notes of the Darjeeling teas with the floral aromatic notes and lingering flavor of the Chinese oolong. The resulting tea is bold, full bodied and complex with orchid undertones. 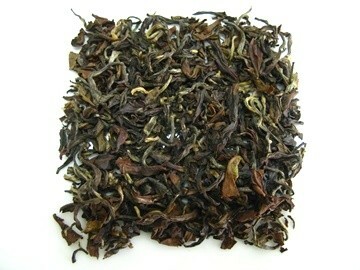 Very few Darjeeling gardens produce oolong tea, so it is very rare and hard to find. The right conditions have to be met to produce a high quality tea. High altitude gardens (over 1000 meters in altitude). This oolong tea is usually made up of two leaves and a bud and is processed much like Darjeeling black teas, but undergoing less oxidation than black teas. Tea leaves are delicately plucked and then withered in the sun and air. 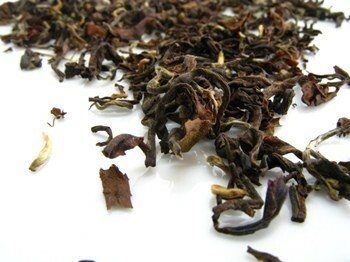 The first harvest or flush is deemed as a lighter tea of higher quality when compared to the second flush. Traditionally leaves are hand-rolled and pan-fried, but this may be done with modern machinery doing the rolling and drying, increasing processing time. Oxidations levels may vary from tea estate to tea estate, so you may find Darjeeling oolong teas that range from 8% to 85% displaying the typical golden-orange liquor and smokiness. Darjeeling oolong is a unique tea, a rare beverage that not offers you not only its wonderful flavor but also a daily dose of health benefits. Rich in vitamins and minerals, this oolong tea provides you with many benefits with every cup you drink. Its caffeine and antioxidant content make it the perfect everyday cup of tea. Let’s take a look at the main health benefits this tea has to offer. Darjeeling oolong tea is rich in antioxidants that support the immune system, helping to build your defenses not only against the onset of future ailments, but also helping you to recover faster from illness. A daily cup of tea may lead to a healthy immune system, helping to protect your body from chronic disease, bacterial inflammation, viral infections and harmful microbes. One of the greatest benefits of drinking this oolong tea regularly is that it may work as a digestive aid, helping to boost your metabolism. A cup of tea may help to reduce acid reflux that causes indigestion and alleviate pain that comes from a sluggish digestion. Antioxidants and caffeine in tea work together to help prevent fat absorption by your digestive system and also help promote fat oxidation. Your body will feel stimulated to burn fat faster. A healthy diet and physical exercise may not only lead to weight loss, but may also help to prevent obesity. It’s a good thing that this tea will help give you the energy you need to start working out. Drinking tea on a daily basis may help improve your heart health by blocking the absorption of bad (LDL) cholesterol from foods. At the same time, tea may also help regulate sugar levels and lower sugar cravings. Learn to brew this tea to suit your palate and drink it unsweetened to help improve your overall health. Caffeine in tea may act as a stimulant. The more sensitive you are to caffeine, the more likely you are to feel its effects. A nice cup of tea may help to keep you alert and functioning. At the same time, this Darjeeling tea may also help to calm you nerves and relax the mind due to the presence of L-Theanine, an amino acid that has a calming effect. The sum of both these effects is that you stay alert but focused at the same time. Antioxidants in tea may also have a visible benefit on your skin. By helping to fight and reduce the risk of inflammation, tea may help you deal with skin conditions such as eczema and psoriasis. External agents such as free radicals in environmental pollution and a stressful daily routine may cause your skin to suffer from premature aging. Antioxidants that you ingest daily in your tea may help to fight free radicals and keep you looking young. Drinking this particular Darjeeling tea may help you in many ways. 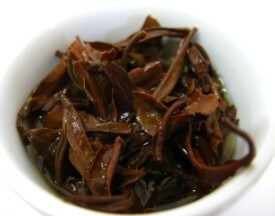 Find out what benefits are common to oolong teas by reading this article on oolong tea benefits. Take a sip of a rare Oolong tea! Darjeeling oolong tea contains caffeine like other types of Darjeeling tea. As this tea is typically made up of two leaves and a bud, it contains a moderate level of caffeine. Caffeine in each Darjeeling tea will depend on the estate where the tea is grown, due to differences in soil composition, production process and ratio of young buds to older leaves. Teas with more buds will be richer in caffeine. While caffeine may be beneficial for you: boost your metabolic rate, increase your energy levels, it may also be harmful for some. Too much caffeine may result in headaches, nervousness, agitation and difficulty sleeping. If you experience this, try drinking less tea and not before bed. Oversensitivity to caffeine may express itself through skin rashes, stomach and intestinal issues. In this case, consider drinking only decaffeinated teas. If you are pregnant or breastfeeding, then your daily intake of caffeine should be discussed with your doctor, as caffeine may prove harmful for your baby. With moderation, you may enjoy this tea on a daily basis. You just have to find the right amount for you. To fully enjoy this wonderful drink, let’s take a look at how to brew Darjeeling Oolong tea. Brew your Indian oolong tea in a porcelain teapot. Prepare your teapot my filling it with hot water to preheat the porcelain ceramic. Even after you discard the water your teapot will still be warm and help maintain the right temperature for your tea. 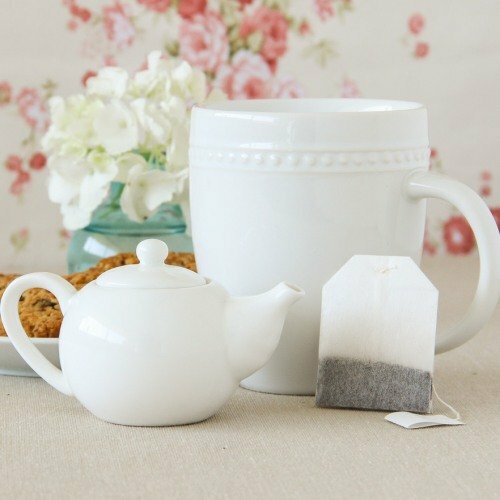 Choose white tea cups to serve your tea. This way you may better enjoy the color of this very rare tea. Place 1 teaspoon per cup of water inside your teapot. If you wish to drink a stronger tea than add more leaves per cup. For a weaker tea, reduce the amount of tea and steeping time. Water should be at 90ºC to 100ºC (194ºF to 212ºF). The optimal temperature is about 95ºC to if the water boils, jst let it cool down for a minute or two. Pour water into the teapot and let your Darjeeling oolong tea steep for about 3 to 5 minutes. The longer you let it steep, the stronger your tea will be. When serving your tea, make sure to empty the teapot. If tea is left inside the teapot then it is best to remove the tea leaves to stop the steeping process. It’s time to drink your tea. Add milk or sugar according to your preferences, but first try your tea without any of these elements to get a feeling for the real color, smell and taste of your tea. As for color, Darjeeling oolong tea brews orange liquor: a first flush Darjeeling will give you a lighter orange tea whereas a second flush Darjeeling will yield a dark orange brew. 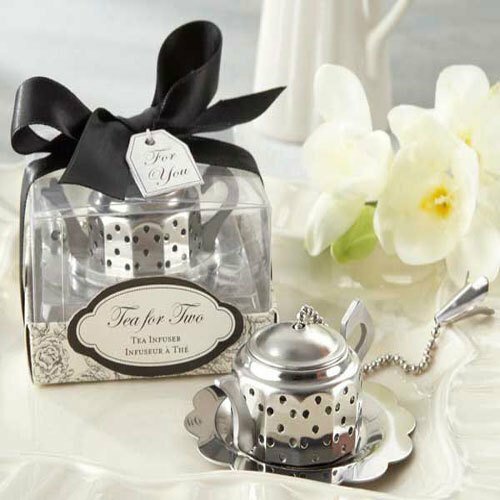 Now breathe in the fragrant floral aroma of your tea and feel the delicate floral and sweet notes. Take a sip of your tea and experience its mellow flavor with the sweet, honey and bold muscatel notes that are typical of Darjeeling teas. 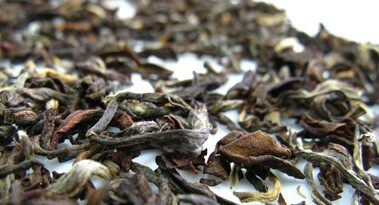 Notice the lingering floral notes that remain in your mouth, a trait typical of oolong teas. This fragrant and warming tea is well worth each cup you drink. 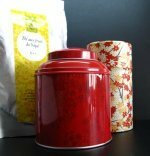 Remember to keep your tea in an air-tight container, in a dark cool place to protect its flavor and fragrance. Buy Your Darjeeling Oolong Tea Today! Click on the image or on the link below to purchase from Vahdam Teas your Darjeeling Oolong tea. This is a rare tea that blends the wonderful flavor of the Darjeeling teas with the mild sweetness of the oolongs. Grown in the hills of the Southern Himalayas, this Indian tea is a great treat for any tea drinker. 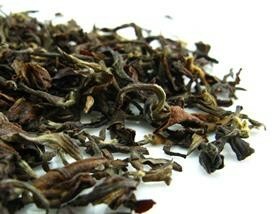 Don't miss out on this year's second flush Darjeeling tea. Buy your oolong tea now! 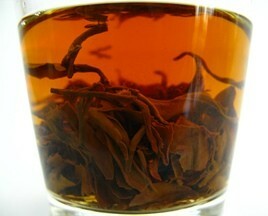 If you enjoy of oolong teas, then you must really try Darjeeling Oolong tea. No other oolong tea tastes quite like this one: it is a blend of Indian and Chinese tea mastery in a single cup. Enjoy your Darjeeling Oolong tea!